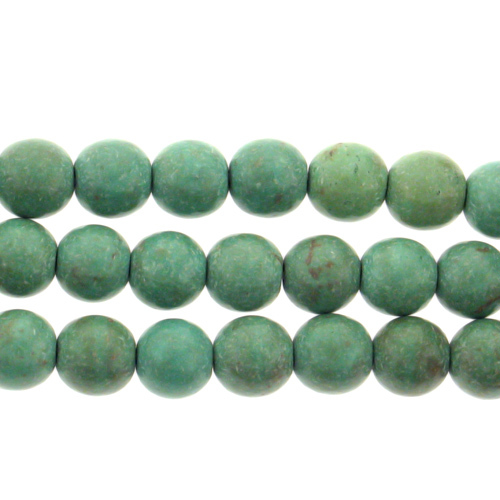 5-6mm Round Blue-Green Magnesite Turquoise Beads. 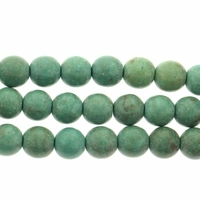 These are beautifully colored beads for lovely necklace/earring set. Great for the summer! Use them with pearls, coral or carnelian with some sterling enhancements. Just lovely! I just made a pair of earings with them and mixed them with some white freshwater button pearls. They are very sheek.